Just in Time for the Holiday Season, The Honeywell Lyric WiFi Smart Thermostat Is Here! The Honeywell Store is your one stop destination for acquiring the latest in affordable and performance exceeding products for the entire household. Our online selection includes a host of industry defining Heating and Cooling solutions such as: Honeywell Fans, Heaters and Thermostats. The newest entry in a collection celebrated for its intuitive use of technology and overall accessibility, the Honeywell Lyric Wifi Smart Thermostat with Round Design is primed to revolutionize the thermostat industry. When it comes to obtaining optimal levels in comfort, there are a number of factors beyond temperature control and settings to consider. 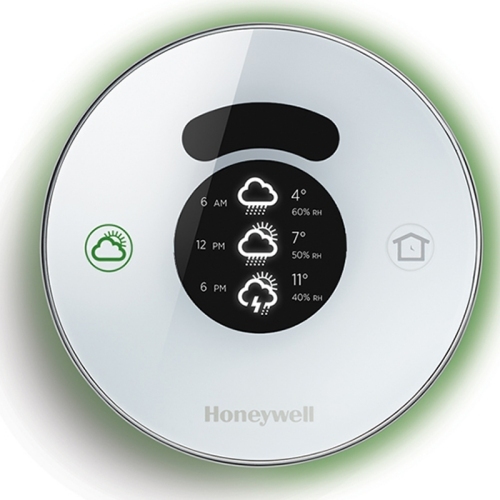 The Honeywell Lyric Thermostat includes a Fine Tune Mode that simultaneously measures indoor humidity and temperature. This feature allows for a more advanced and even easier accessible means of maximizing comfort while adjusting to indoor temperature, indoor humidity and outdoor conditions. 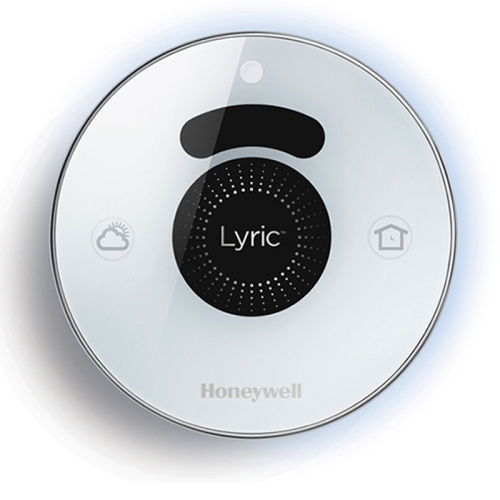 Regardless of the weather outside, the Lyric Thermostat will optimize your indoor settings. Additional comfort enhancers such as a Geofencing mechanic have also been implemented in the Honeywell Lyric Thermostat. Leaving your home? Simply enable geofencing and the Honeywell Lyric Thermostat will automatically adjust to your smartphone's location. Not only does this feature allow you to prepare your home's temperature well in advance of your arrival, it carries the additional bonus of potentially lowering your overall energy expenses. The latest iteration of the classic dial Honeywell thermostats of yesteryear, the Honeywell Lyric features a contemporary and sleek design that includes touch-sensitive buttons. These allow for a near seamless experience when it comes to pinpointing your preferred heat settings. Overall accessibility has been improved to an even larger extent with the addition of Shortcuts that allow homeowners to fully customize their surrounding temperature to match any number of scenarios. Regardless of whether you're hosting a dinner party, lounging about or working up a sweat, you'll have complete control over a set of shortcuts that can be saved and applied at any time! These shortcuts can be reached through the use of a convenient app that can be accessed via smartphone, tablet or computer. While you're using your app, you'll also have access to the Honeywell Lyric's series of Smart Cues. Smart Cues allow for the maximum in peace of mind and will readily keep you informed of any important changes within your system. This can be instrumental in alerting homeowners to any number of unwanted surprises. Whether it's monitoring your system for any sort of disturbance or reminding you of when a filter needs to be replaced, the Honeywell Lyric will keep you informed and worry free. The Honeywell Store offers an extended range of thermostats that utilize differing technologies to achieve the maximum in home comfort. Our secure online servers offer affordable and performance exceeding solutions to help keep you warm for the upcoming holiday season. 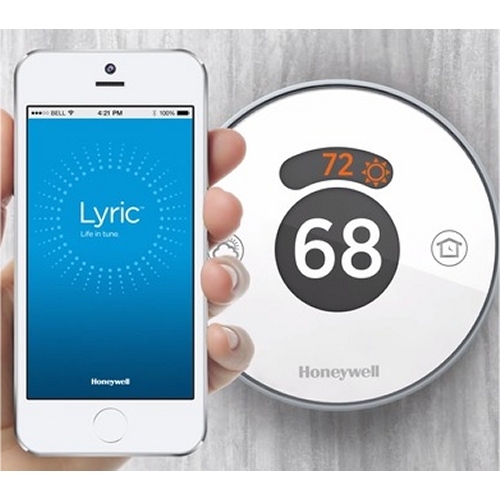 For an additional 15% off your Honeywell Lyric Thermostat or any other purchase matching or exceeding $30.00, simply enter the coupon code found here.